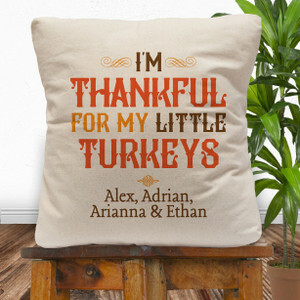 Gobble up the tastiest personalized Thanksgiving gifts for your little turkeys! While you're at it, grab a cool hostess gift for whoever is crazy enough to cook for your whole crew! We have great gifts for everyone in your soon-to-be-turkey-coma crowd, from the feasting foodies to the football fans.